Duluth has endless choices of great hikes in its forests, mountains and stunning shoreline. However, one of the most unique and surprising hikes at the end of Park Point. Just beyond the vibrant Canal Park shops and restaurants, a hidden oasis stretches far into Lake Superior. The Park Point Trail includes miles of beach and forest paths through old growth pines. It’s a wonderful place to escape the crowds, spot some wildlife and enjoy endless views of the water and the Duluth skyline. Guests at the Solglimt Bed and Breakfast appreciate the convenient access to Canal Park and being close to downtown Duluth. While also loving the quiet waterfront location with beautiful views from our many porches and decks. Book your stay with us before summer slips away and take advantage of the best vacation location in Duluth. Visitors get both a forest and a beach hike on this 4 mile round trip trail. 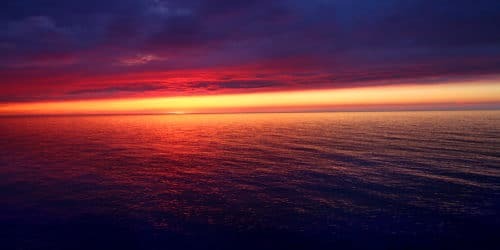 Located on the a thin stretch of land between Lake Superior and Duluth Harbor it offers special views not found anywhere else. Early birds love to hike out to the beach, coffee in hand, and admire the sunrise over the water. Watch float planes land in the bay, photograph Duluth’s city skyline, and wave to boats entering the harbor. Since the area has been protected the trail has many amazing old growth pines. Keep an eye out for the herd of white tailed deer that make their home in this forest sanctuary. 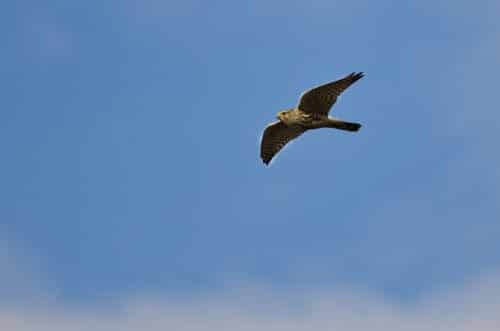 The red and white pines are also home to many majestic raptors including Merlin falcons. The sandy beach section of the trail also offers great bird watching. Many shore birds run along the beach and nest in the wildflower covered dunes. A variety of songbirds can be seen perching in the trees that border the grassy patches. This hike even has some history complete with ruins to explore. Check out the brick ruins of Lake Superior’s first lighthouse built in 1858. There’s also an abandoned US Army Corps of Engineers boat house and remnants of settlers cabins. When our guests are looking for a peaceful hike we’re pleased to direct them to this lovely, nearby trail. Not many hikes have dunes, ancient pines, grassy meadows, all with stunning water views and we’re lucky to have one just minutes from our door. 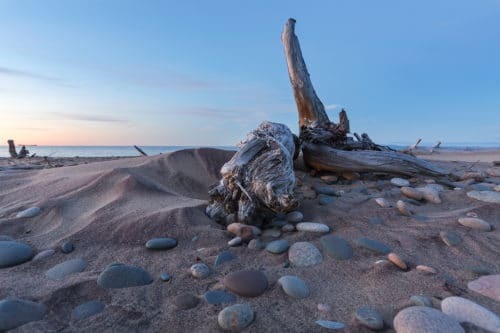 Reserve your room at our tranquil retreat on the shores of Lake Superior and discover the hidden treasures in Park Point.